Does "Mr" Take a Period? Does “Mr” Take a Period? i was taught not to type a full stop after Mr and Mrs, but a few decades earlier that would have been incorrect. I was probably taught Mr. etc at school – can’t remember – but learning to type we were told not to use the full stop. I’ve no way of knowing the location of these readers. Their experiences may be related to where they went to school. 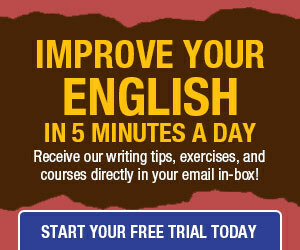 Whether or not to place a period after Mr. and Mrs. depends upon whether you are following American or British usage. The invented title Ms. has widely displaced Miss on both sides of the Atlantic. Ms conflates Miss and Mrs to provide a feminine form that, like Mr, does not indicate marital status. Although British usage makes more sense to me, I am careful to write the periods after Mr, Mrs, Ms and Dr on American correspondence. How about writing a period after “etc” inside sentences? I personaly prefer the version with period, but it may look confusing as the period breaks the flow of the thought in two. It’s worth noting that even some titles such as Prof are commonly also written without a period in the UK. An example would be the astons on BBC News (TV) where no dots are added on anyone’s title when displayed on-screen. My problem stems from years working in sports and abbreviating positions on various teams and not using periods, or the postal abbreviations for the states. I work mainly in medical transcription these days, and the trend has been to leave off periods. They add so much clutter to a document, and especially in medical documents, when you’re looking for information fast (test results, a name, a number, a particular word or phrase in a long block of text), too much punctuation snags your eyes and distracts you from what you need to find. I agree with Lamanai, that a period in the middle of a sentence (ie after an abbreviation) almost makes you think you have to stop there. I think that if it is a common abbreviation, you can probably leave out the period. Also, VP is not really an abbreviation, it’s more of an acronym, and again, most people would understand what VP stands for, in context, especially since it could not be mistaken for a word (unlike COO, for example). The USPS protocol for addresses is now just 2 letters and no punctuation, as in New York NY 10001. I’m the Brit who wrote ‘I was probably taught Mr. etc at school – can’t remember – but learning to type we were told not to use the full stop,’ and all my education has been in the UK (except the part where i was learning Japanese, but that’s not relevant!). As far as i remember i was taught not to use a full stop (sorry, can’t bring myself to call it a period) after any punctuation – whether of the Mr or Prof variety. The main reason i was given was the point sherry roth makes above about clutter. Over a long document it can be the difference between fitting onto one page and needing another, if the piece of writing has a high incidence of etc, UNESCO, and so on. And it can be ambiguous if that full stop happens to fall at the end of a line and look like the end of a sentence. This is one instance of my greatly preferring the British way without any influence from being British! I’ve always assumed Miss was written without a full stop (in older works that do use one for Mrs etc) because ‘Miss’ is the word we say, not an abbreviation, while ‘Mrs’ is really Missus and ‘Mr’ Mister, etc. Being historically both contractions of mistress is nothing to do with it – i’ve always thought – any more than the fact that lunch is short for luncheon. It would make it easier if Mr or Mrs did not take a period. But then again, how much easier does our dumbed down language have to be? Wait, the answer to that question can be answered by taking a trip to youtube and reading some of the worst examples of the English language on display anywhere. In any regard, what will we gain by saving all those periods? Before long they would be stockpiled past the ceiling and there would be another national crisis with which to deal. I say keep the periods in Mrs. and Mr. Or, in the least, to economize, spell one with the period and one without. That would be fair, wouldn’t it? I guess I would consider it fair if the Mr got the period. I, for one, think that women have had enough of them. I personally like the periods after the abbreviations. It seems more formal. But it’s not a full stop. A full stop ends a sentence; the dot after “Mr.”, etc., doesn’t function as a full stop (or any kind of stop at all). I’ve been known to call it a “period” precisely to distinguish it from a “full stop”…but I just looked up “period” in the OED and the relevant definition is, in fact, “full stop”, so I’ll try to avoid that in future. The OED calls it a “point” in this usage. FWIW, I’m a native English- (as opposed to American) speaker, but I’ve never heard of the “if the abbreviation ends with the same letter as the word” rule mentioned in the article. @10 Peter – I’ve always called it a full stop, but can’t remember if i was ever told to or told not to. To me, point is for maths. btw i’ve never heard of that rule either. @2 Lamanai – I often find a stop (i may take to calling it just a ‘stop’) after etc brings in ambiguity. Another thought: Although i do refer to what i was taught and what i find prescribed as ‘correct usage’, i’m comfortable changing that if i have a reason. (You can tell that, by my use of i for I.) As long as i’m following rules and not simply using the language randomly or carelessly, i prefer its skeleton to be as i prefer my own skeleton to be: pain-free, untroublesome to use, functioning as i expect, and strong. I’m in favor of keeping the periods in Mr. and Mrs. and Dr. and Prof. I guess for some reason in my head, if the abbreviation is done in all caps, it doesn’t need a period. However, if shortening a word and its Caps and lower case, then I’ve reasoned with myself that a period is necessary. I think people are too obsessed with periods and would be better off focusing on apostrophes and proper spelling…and for informal exchanges that sometimes have character limits (like txt msgs), wutz rong w/makng ur msg shortr? Thanks for explaining so clearly. English is my second language and I like to stick to one form [British vs US]. I choose British for the reason of quotation. To always place the punctuation within a quotation looks strange to me. Dutch in this respect is similar to British. Now I am researching all the other differences so I can be consequent in my writing. Thanks for this info. I’ve also noticed that the British system uses a period instead of a colon to indicate the time. Example 9.00 for 9:00. Anybody know the reasoning for that? Interesting post! Its odd. I never knew that the extension of their backyard meant so much to them. Traditionally in Standard English (or “British” English as Americans call it) abbreviations take a full-stop, thus “Mr.”, “Mrs.”, “Dr.” etc. When I was at school in England in the 70’s we were still being taught to put a full-stop after an abbreviation. The ommission of full-stops in the U.K. is a modernism, not part of traditional Standard English. Someone tell me please, what’s with the i and I? I am pleased to no end with this article. Typing a period after Mr is a pain, especially when writing a script. Now I am exonerated. Now Mr Smith can go to Washington and Mr T can pity some fool. LOL Vic…the only advantage I can see to using all these periods (eg after Mr, Mrs, Dr etc) is that if you’re lucky and the stars are in proper alignment and the word-processing gods are in a good mood, the word AFTER the abbreviation-with-the-period will be capitalized automatically, so it might be a trade-off in terms of keystrokes. If you don’t put a period, you have to press the shift key for the next character (eg the “W” in Washington). If you put the period (eg after “Mr.”), your computer should capitalize “Washington” for you without any further effort or thought on your part. However, this is a double-edged sword, as there are times when you will NOT want the next word to start with a capital letter. I’m sure there are many cases, but one that comes to mind would be if you insist on putting periods in an acronym like VP, making it V.P., followed by a descriptor such as “of marketing.” So if your word processor automatically (and thoughtlessly) capitalizes the next character, you could end up with “V.P. Of marketing,” which looks really stupid. If, however, you just go with “VP of marketing,” you are much better off. I notice you put a period after Capt. I believe this would only be true for civilians in the US. In the US military where I served as a Capt in the US Air Force, there are no periods after any rank designation. The one thing I learned in the military and took to heart was to not use periods after most of the words we were mandated in school to do so. Additionally, hyphens were used rarely. We were taught “Air Force Effective Writing,” which implied that all the grammar rules drilled into us during our school years were not based on the language we actually speak but rather on Latin. The instructors pointed out that English is Teutonic and not Latin. Maybe that’s why ending English sentences with a preposition or splitting infinitives sounds so much better than writing the way the grammar mavens dictate. That was in schools in Ft. Hood, Tx; Dallas, TX; Chicago, IL; and Indianapolis, IN. I, too, agree with the British on this one, but ever since college, I’ve stuck to full-stoping “Ms” as well. And again we have a simple US/UK differece that seems to get magnified into a perplexing issue. In the US, the “dot” . at the the end of a sentence or an abbreviation is called a period. Period, The end. In math, and math only, the same symbol when writing a decimal numeral is called a “deciimal point” (clever, huh?). It is usually just read “point” as in, “The temperature rose five point six percent”=5.6%). In SAE, it is never called a stop or a full stop or a semidemi-colon. If you are an American, you’re done. That’s all you need to know. There is no need for further confusion. Likewise, in SAE a period is required after most abbreviations of title so Mr., Mrs. Dr., Prof., etc. There is none after Miss because that is not an abbreviation. It is simply a word. MS. is conventionally written with a period after as well, as if it were an abbrevition, altho what exactly it’s supposed to be an abbreviation FOR is not clear. “MIZ”, as it pronounced, isn’t a word and Ms. is not short for mistress– Mrs. is. Again, if you’re an American, you can move on now to a more interesting issue, like why is peanut so-called when it is neither a pea, nor a nut. In this case, I would say I prefer the UK standard in which there is no period placed after Mr, Mrs or Dr. It is simpler and the period seems entirely unnecessary. No one thinks mr is a word all by itself, or that D-R is how you spell the word doctor. BUT, since I write in SAE, I stuck with the period. I don’t make the rules, I try to follow them. RichCowell: By US rules you are correct. Mr., Mrs. are abbreviations that require a period. Miss is a word, so does not. And initials in a name need a period, too. British rules are evidently somewhat differenc. Woof! Thanks for clearing that up! I can’t imagine however that the Brit. rule of ‘no period if it ends in the same letter but period if it doesn’t’ is less confusing than the American one of ‘if it is an abbreviation, it gets a period.’ That seems much more straight forward!! I loved AravisGirl’s response about the South! Yes we do call people Miss Lavinia or whatever. The usual rule is if they are friends they are “Miss Whatever” if it’s someone you don’t know then use the last name. Happily in the South with our drawl ‘Mrs’ sounds ‘Ms’ so you can get by either way;-). I’m American but I largely favor the British forms Mr, Mrs, Ms, Dr etc … i actually don’t put periods after/on abbreviations since it’s so much quicker. I only put periods when i am doing assignments or other important things. To me, US makes more sense to me than U.S. It makes no sense to me. It looks like a gaping, cruddy eyesore. Abbreviated words ought to have periods. That is the final word. I’ve been in the admin field since 1984. When I went to admin school, I was taught from the very beginning to use a period after Mr., Mrs., Dr., Ms., etc. It seems funny to see it any other way although I know different cultures have different ways of doing things. American’s use the periods and I feel it can even seem a bit disrespectful if it’s not used and you can also be viewed as not knowing how to use proper grammar because that’s what we’re taught and are accustomed to. Also, if a student came to America and had to write a paper and didn’t do it, their grade would reflect it. It’s just correct grammar in America to use the periods. 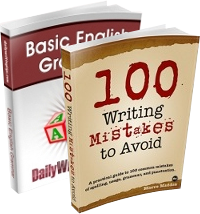 In American English, a period always comes after an abbreviation, but not for an acronym (e.g. NATO and DOJ – Department of Justice). “sec” is an exception with no period. It abbreviates “second” in engineering, physics, mathematics, and navigation, but “s” is not a valid abbreviation for second. We use “s” for something else, specifically “the Laplace Transform variable”. I like the abbreviations from Spanish, “Sra.” and “Dra.” Sra. means “senora” or “senorita”, and Dra. is for a woman with a doctoral degree, especially an M.D., a dentist, or an optometrist. In German, there is no need to abbreviate “Herr” (for men) or “Frau” (for women), because the words are so short. “Frau” used to mean a married woman, but in Europe, “Fraulein” has fallen into disfavor and most single women prefer to be called “Frau”, anyway. “Fraulein” is still O.K. for the ages of 16 to 18, and for waitresses of any age. I still love “Fraulein Hilda” and “Fraulein Helga” from “Hogan’s Heroes”. They were both secretaries for Kommandant Klink, and they were played by similar-looking actresses. In real life, one of them married Bob Crane (Colonel Hogan), but Mr. and Mrs. Hogan are both now deceased, as are Klink, Sgt. Schultz, Gen. Burchhalter, Sgt. Kincheloe (the Black radio operator and fluent German speaker), and Cpl. Newkirk. I don’t know about Major Hochsteader, who was actually played by an American Jew from Nashville, Tennessee. Yes, the U.S. Department of Defense has the standard that the abbreviations of ranks do not have periods, but I was taught in Air Force ROTC that those are often to be written in all capitols. For example, LT = lieutenant, CAPT = captain, MAJ = major, LTC = lieutenant colonel, COL = colonel, BG = brigadier general, MG = major general, LTG = lieutenant general, GEN = general (four stars), ENS = ensign in the Navy or the Coast Guard. Likewise, AM = airman, PVT = private, SMN = seaman, CPL = corporal, SGT = sergeant, SSGT = staff sergeant, TSGT = technical sergeant, MSGT = master sergeant, PO = petty officer, WO = warrant officer, CWO = chief warrant officer, SMSGT = senior master sergeant, CMSGT = chief master sergeant, CPO = chief petty officer. LTCDR = lieutenant commander, CDR = commander, ADM = admiral (four stars), FLTADM = fleet admiral (five stars), but there aren’t any more of these, or five-star generals, etc. RADM = rear admiral, and VADM = vice-admiral. The rank of commodore is no longer in use in the Navy or the Coast Guard, but it could be brought back in wartime. There are doubtless other ranks that I have omitted. Also, a military or naval doctor, dentist, optometrist, clinical psychologist, etc., may be addressed by his/her rank (e.g. lieutenant or captain) or simply as “doctor”. They make things easy and comfortable for patients, no matter what their ranks are. “Garcon” for French waiters has fallen out of favor because it literally means “boy”, and a lower-class boy at that. “Mademoiselle” is still all right for waitresses of any age. If you don’t like “etc.” with the period, you can always write “et cetera”, and italicize it because it is a foreign phrase. Likewise “en masse” is a foreign phrase from French, and “modus operandi” and “corpus delecti” come from Latin. All of these should be italicized. The Associate Press does not like this because computer type-setting machines are often stupid, and they mess up on the font and spelling. HRM (no periods) means His (Her) Royal Majesty. I am quite happy that we don’t have need for that one in America. Titles of nobility are unconstitutional here. I don’t mind the addressing of foreign monarchs as “Your majesty”, and in fact, it sounds very polite. Otherwise, “Sir” or “Ma’am” sound good to me. When addressing judges in the United States, either “Your honor” or “Judge” are all right. This might be true in Canada, Australia, and New Zealand, too. However, I would like a little more, such as “Judge Adams”, “Judge Marshall”, or “Judge Washington”. In this decade, all lower-court judges in Australia have abandoned the wearing of white wigs. Now, those are only for appeals court and Supreme Court justices. As far as I am concerned, they ALL ought to flush their wigs, except for bald-headed women! Abbreviations take a full stop to show the word has been cut off. Contractions e.g. Mister / Mr don’t take a full stop because the word isn’t cut off at the end.